Over the past few years, many advances have been made in the quality and sound of digital pianos. There is now an ever growing choice of digital pianos to choose from. This has meant that more and more people are in the market to purchase a digital piano. However, finding the best digital piano for your needs can be a difficult task. 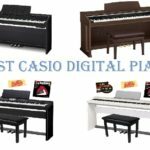 If your are considering buying a digital piano, what should you look for? First of all, a digital piano shouldn’t be confused with an electronic keyboard or an electric piano. Digital pianos are designed to be as close as possible to playing a real piano. The keys are weighted so that they look and feel just like a real piano. They usually have the full set of 88 keys. The sounds digital pianos produce are either sampled piano sounds or synthesized sounds. This allows for a wider variation of sounds, allowing the pianist to change and alter the sounds to suit the music. Many digital pianos are also designed to look exactly like real pianos – upright and even grand pianos. Digital pianos are generally much cheaper than traditional acoustic pianos. They are also cheaper to maintain as they don’t require tuning. Traditional pianos are extremely difficult to move and transport whereas digital pianos are much lighter. They can be dismantled and transported very easily. The volume on digital pianos can be adjusted and even played using headphones. This means that there is no disturbance to others in the home or to neighbors. Digital pianos can be connected by USB and/or MIDI to allow recording on computers and recording equipment. This can be helpful for beginners to monitor progress or for recording artists who are working on their latest album. We all know that music is the universal language and this is so true. Listening to music is one great way to relief stress while belting a song is a perfect way to express one’s feelings. But what about creating your own music through a musical instrument? This is much better since you are able to express yourself and at the same time yield some benefits. Learning to play a musical instrument such as the piano can provide valuable benefits. One way of improving your life is to acquire new learning and piano playing is one excellent skill that will enhance your emotional as well as mental faculties. The benefits of playing the piano have been already proven by several scientific studies. Piano playing can facilitate cognitive development since the ability to create music stimulates the brain than any other activity. While playing the piano, the brain is able to create neurological pathways that can help in other forms of learning such as science and mathematics. Another interesting benefit of playing the piano is improved concentration and eye-to-hand coordination. Emotionally, piano playing is a good natural stress reliever that can help reduce anxiety while lowering blood pressure. Other than these benefits you get to explore your musical creativity. 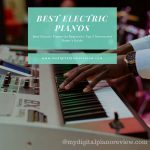 Choose among the best digital pianos for your piano playing pleasure. 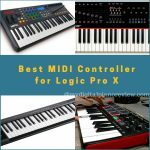 If you are now convinced that a digital piano is right for you, what should you look for if you want to buy one? The first consideration is to determine how you will use the digital piano. 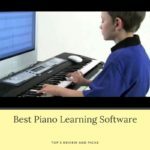 Most people who purchase a digital piano for the first time are beginners. If you are learning to play the piano then you should choose a full-size one with 88 keys. It should have a wide range of sounds, it is best to choose pianos with 128 notes (polyphony) or more. For home use, the piano should have a built-in amplifier and speakers. A headphone socket is also a must. 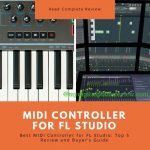 If you plan on recording and producing music, then you need one with more advanced connection features like USB and MIDI. Also, choose one with editing and mixing features. If you plan on using this in a studio, then is isn’t necessary to choose one with high-quality speakers. 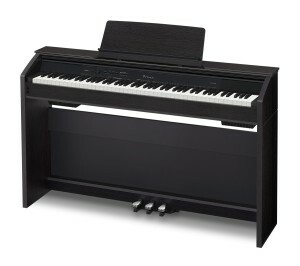 If you are a performing artist and will use the piano on stage, then choose a stage piano. 2. What are your size requirements? Does it need to be portable? If you will be using the piano at home, then you need to make sure that it is the proper size. There are variations in digital piano sizes, so make sure and pick the right one. If you need the piano to be portable, then check how easily the piano can be dissembled. Weight can also be a determining factor. Some digital pianos have semi-weighted keys, and this makes the piano somewhat lighter. Digital pianos can range from around $500 to over $2000. So a budget can also help determine which piano to buy. It is good to keep an open mind when choosing a piano as it is sometimes better to spend a bit more if you get lots of extra features. On the other hand, if the piano is just for home use, then you may not need many of the features that are on the more expensive models. 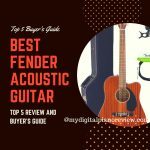 Once you have decided on the kind of piano you want and have decided your budget, the next step is to check out online reviews. 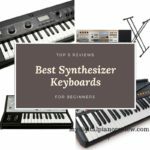 There are many digital piano online reviews and these can help you decide on exactly which piano to buy. These reviews can provide a good insight into other users’ experiences. Now that you have a few pianos in mind, it is good to consider some of the specifics of each piano. Polyphony. This is the number of individual notes or tones the piano produces at once. With digital pianos, the higher the better. The most basic models have 32-note polyphony and this goes up to 264-note polyphony. For most uses, 64-note or 128-note is sufficient. Number if sounds. Many digital pianos come with sampled sounds from other instruments. At first, these can seem like very useful, but most piano players rarely use these. If you love playing just the piano, then choose one with the best range of good piano sounds. Key action. Choose a digital piano that has key action as close as possible to the real thing. Pedals. 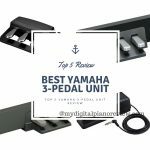 Pedal response is another factor to consider, these can be less than satisfactory in the cheaper models. 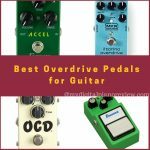 Read online reviews to see how others rate the pedals. Warranty. As with all purchases, the longer the warranty the better. Extras. 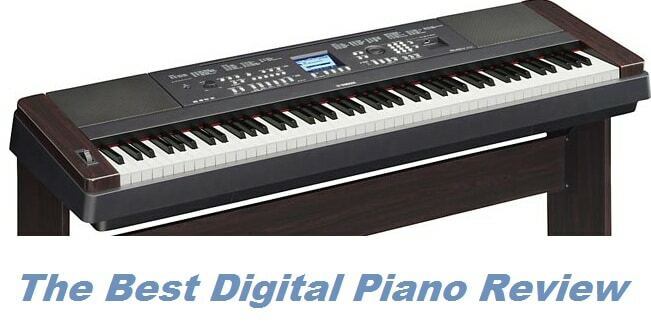 Make sure that the digital piano you choose has all the extra features that you require. These can be: USB connections, MIDI, headphone connections, instrument selection, and connections to PA systems. 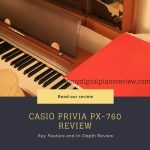 Casio Privia PX860 features exceptional realistic piano tones through Casio’s Multi-Dimensional Morphing AIR sound source. You can easily play music in grand piano tones through the Tri-sensor Scaled Hammer Action which will ensure great performances all the time. The String Resonance feature ensures quality acoustic piano sound that produces sound with rich resonance. 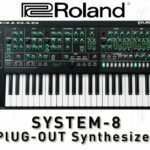 The 88 set of keys produces a natural and complete resonance. Through the exclusive Casio AiR technology, tones are always crisp and perfect which can covert a living room area into a concert hall. It comes with the Concert Play feature which will allow you to play along to 10 classical pieces with accompaniment. Available in three classic wood finishes, in Oak, Black and White. 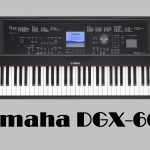 Yamaha DGX650 is the best digital piano when it comes to learning and practice playing. It has amazing interactive features to make learning and piano playing fun and interesting. The exclusive Yamaha Smart Chord technology is perfect for beginners. Thanks to the full sized 88-note graded hammer action piano keyboard which provides the authentic touch and feel of real acoustic piano. Professional and advanced piano players will enjoy the smooth sound performance using the Damper Resonance feature. The PureCF sampling technology accurately gives out true acoustic sound reproduction in digitalized version. 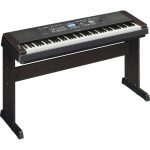 The Yamaha DCX650 is the best digital piano for novice and music lovers since it can play and record grand piano concert in WAV audio files via USB connectivity and is perfect for data transfer. Now playing and sharing music is very easy. Yamaha P115 boosts user-friendly features perfect for home or stage use. Amazing piano performance is possible through the 88-key graded hammer action which comes with a wide array of sounds including grand piano, electric piano, strings, clavinet and more. The P115 comes with a built-in speakers and an output for impressive audio experience even on outdoor piano concert. The Yamaha P-115 is one of the best digital pianos around that is packed with great features in a compact design producing clear, clean and crisp sound distinctive to Yamaha pianos. 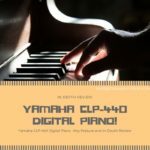 Integrated within this best digital piano is an on board drumming rhythms and various sound patterns perfect for ultimate piano playing with accompaniment. It offers basic rock tunes to upbeat swing beats that can be easily combined in any piano practice or performance. A free Yamaha digital controller app is available for download for iPad and iPhone devices. This app will allow users to control and save functions for convenience and enjoyment. 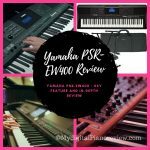 Yamaha P45 is the latest and the updated version of the old P35. 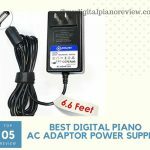 This is the best digital piano when it comes to quality semi weighted action keyboard suitable for beginners and perfect for advanced pianists who need to master their piano skills. The keyboard comes with a matte piano key finished that will allow skid free playing while keeping the fingers on proper playing position. Just like the older P35, the Yamaha P45 boasts excellent sound output through the Advanced Wave Memory (AWM) which delivers realistic piano tones in either acoustic, electric or organ models. 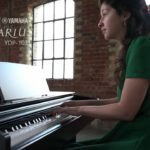 The Yamaha P-45 digital piano is also capable of providing harpsichord variations, classic vibraphone tone and strings that will enhance one’s piano playing experience. As the best digital piano in its class, the Yamaha P45 has a convenient single button to easily access various piano functions. Holding down the grand/piano function button while pressing the keyboard will give access to change voices, metronome setting and would play demo pieces. The P-45 has all the basic features that will cater to the learning requirements of any piano student. Casio PX160 features the well-loved Casio sound technology the Air Sound Source system that delivers crisp and realistic piano tones. The remarkable Tri-Sensor Scaled Hammer Action II keyboard provides the truest piano feel through its ebony and ivory keys. 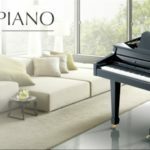 It has unique three sensors that capture the accuracy and on the dot speed highlighting the dynamics of real piano playing. The amazing hammer response feature considers the speed and movement of various sized hammers in connection with the speed of each key as being played is exclusive on Casio best digital piano. 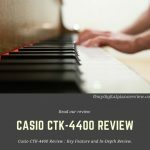 The newly designed chassis of Casio PX160 is very elegant and at the same time houses quality 8 watts speaker system that can deliver rich and captivating piano sounds. Equipped with Duet Mode, a feature that allows splitting the keyboard into two separate equal ranges is perfect for simultaneous piano playing. 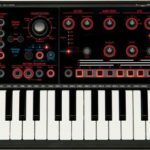 The duet mode is very ideal for student and teacher interaction. It comes with a 2-track recorder system which can playback and record piano performance and practice sessions. USB connectivity is available and compatible with Mac or Windows computer systems. The dual headphone sound output at front is suitable for private listening. The Casio PX-160 has all the world class features in a wallet friendly price. The right digital piano is out there for you. If you follow the 6 steps outlined above, you will find a digital piano that will provide you with hours of enjoyment. 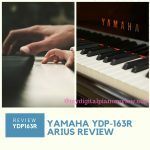 Digital Piano vs Digital Keyboard: Which is Better?